Visitors can enjoy a 97-acre preserve with oak-hickory forests, tall grass prairie, oak savanna and natural wetlands. Three miles of trails offer nature and solitude. 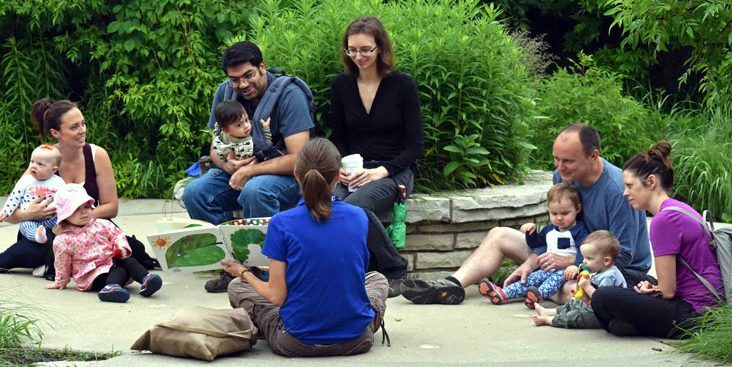 Visitors can picnic, participate in a program, play in Wander Woods or learn more about these habitats in the Interpretive Center and nature exhibit which features bees, fish and birds. Cross-country skis available to rent during winter.